Ivory House Creative is a boutique style design studio that specializes in wedding and event stationery, small business branding and sells a host of handmade gifts. Do you want to be more proficient in graphic design software? Or need a little guidance learning design programs like Photoshop, Illustrator or InDesign? If so, then you have come to the right place! Ivory House Academy was founded to help educate fellow small business owners, marketers or anyone interested in learning the fundamental applications of graphic design. Through a series of in-person (and eventually online) workshops I will give you the technical skills you need to maintain the look and feel of your brand or give you a leg up at your next job interview. Each in-person workshop includes 4 hours of instruction (including lunch) along with a handy dandy how-to guide for reference and note taking. You will also receive exclusive access to our Ivory House Academy Facebook group where you can ask both fellow academy goers as well as myself technical questions – just in case you get stuck! If you are looking to expand your design knowledge and technical skillset Ivory House Academy is the place for you. 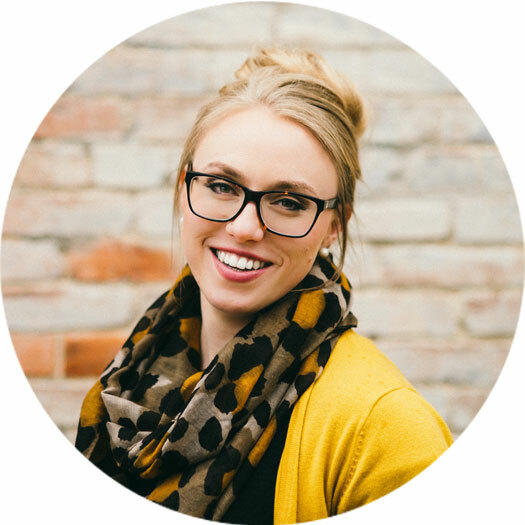 I can’t wait to help you navigate the technical side of your design journey! Be the first to know about course details and workshop announcements! Thank you so much for your interest in Ivory House Academy! I will be in touch shortly with more details such as registration updates, online workshops and other fun stuff! Hello there! I'M KenziE and I will be your instructor! I am the owner of Ivory House Creative, a graphic design and stationery studio located in Tipp City, Ohio. I have always had a passion for education, business, and anything design! I have BFA in Graphic Design from the University of Louisville and recently completed my MBA at Wright State University. Upon completing my Master’s Degree I was able to snag a job as an adjunct instructor at a local graphic design college where I teach introductory design courses….and my passion for teaching was born! Now, with Ivory House Academy, I am on a mission to help share a wealth of design knowledge to the creative community. I am here to teach you the technical side of things and give you the tools you need to make you or your brand stand out. I am so excited for you to take on this educational journey and will guide you every step of the way.